Leeds United will be playing their football in the Championship next season after beating Bristol Rovers 2-1. 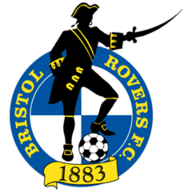 Leeds United will be playing their football in the Championship next season after securing promotion with a 2-1 win over Bristol Rovers. Simon Grayson's men pulled off a historic comeback despite being down to ten men when Max Gradel received his marching orders for a clash with Daniel Jones. Darryl Duffy threatened to spoil the pre-promotion party for Leeds, who needed the win to secure second spot, when he scored for the visitors just after the interval after latching on to a Joe Kuffour pull-back. 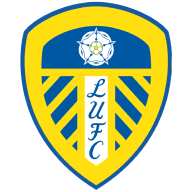 But the tense atmosphere at Elland Road soon returned to jubilation when strikes from Jonny Howson and top scorer Jermaine Beckford four minutes after good work from Bradley Johnson later clinched the coverted automatic promotion place for United. Thousands of fans pelted on to the pitch as the final whistle blew to celebrate their hard-fought win in a nail-biting encounter. After three seasons in English football's third tier, Leeds had their promotion hopes in their own hands knowing a win would definitely see them up ahead of Milwall and Swindon who faced each other. The West Yorkshire club had missed out in the play-offs for the last two seasons, but Grayson's men made sure of their newly-crowned Championship status at the third time of asking. However in a tense affair the three-time champions of England, who were in the UEFA Champions League semi-finals just nine years ago, looked in danger of squandering promotion when Scottish striker Duffy gave Rovers a 48th minute lead after Leeds winger Gradel had been sent off in the 34th minute for violent conduct. Super sub Howson raised the roof off of Elland Road just before the hour mark as 38,000 fans erupted when his fine finish nestled in the back of the net. Beckford wasted no more time in getting on the scoresheet when he struck in the 63rd minute to send United on their way to promotion alongside League One champions Norwich City. Before Leeds's fightback, Millwall briefly looked set to finish second as they beat Swindon at The New Den thanks to Steve Morison's double and a Gordon Greer own goal. However the Lions had to settle for third and a play-off meeting with sixth-placed Huddersfield, who lost 2-1 at Exeter. Swindon will meet Charlton in the play-offs after the Addicks' 2-0 win at Oldham secured fourth place. At the other end of the table, Gillingham joined Stockport, Southend and Wycombe in being relegated to League Two after a 3-0 loss at Wycombe.